A Mega Millions lottery ticket rested on the shop counter at the Street Corner Market on Wednesday in Cincinnati. The Mega Millions jackpot is at a record-high $1 billion for Friday night’s drawing, making it only the second US lottery jackpot to ever break the billion-dollar threshold, officials said. The jackpot is the second-largest in US lottery history, falling more than $500 million short of the record $1.586 billion Powerball jackpot that was split among three winning tickets on Jan. 13, 2016, officials said. 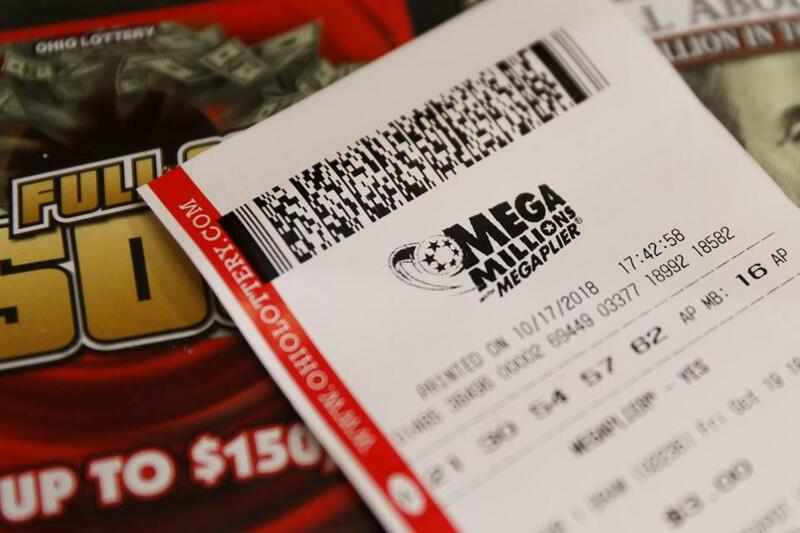 The sales for Mega Millions tickets sold in Massachusetts on Thursday for Friday’s drawing totaled more than $2.9 million — about $1.2 million more than the ticket sales from Wednesday, according to Christian Teja, spokesman for the Massachusetts State Lottery. As of around 11 a.m. Friday, ticket retailers in Massachusetts were selling about 3,000 Mega Millions tickets every minute, Teja said. “The day of the drawing is when the majority of sales take place,” he said. The upcoming drawing will be the 25th since the Mega Millions jackpot was last hit, on July 24, when the $543 million prize was won by a group of 11 co-workers in California, officials said. Saturday night’s Powerball drawing has a jackpot of about $430 million, and the in-state Megabucks Doubler drawing has a jackpot of about $3.5 million, officials said. Tickets for the Mega Millions and the Powerball are $2 each, and tickets for the Megabucks Doubler are $1 each. The results for all the drawings can be found on masslottery.com, as well as on the lottery’s Facebook, Twitter, and YouTube pages, officials said.